Even in their natural environment, trees and shrubs can struggle due to nutrient deficiencies in their soil. Take those same plants and add them to a landscape, and they often decline and even die. Fertilizing trees in a home or commercial landscape is most often approached as an afterthought. The plants are losing color or vigor and property owners or managers hope to reverse the many years of negative impacts of poor nutrition. This leads them to search for a local tree fertilizing service in Allentown, Bethlehem, Easton, PA or surrounding areas. Will Fertilizing Trees Save Them? No doubt about it, improving the soil and nutrient levels for any plant is a great idea. However, there are times when damage is from other issues (such as insects and disease) or the damage may have progressed too far. A Certified Arborist can evaluate each tree and shrub on your property and identify what its particular challenges are. In many cases, tree fertilizing services are recommended in addition to addressing any other major health concerns. Fertilizing trees is a great measure of preventative care. By regularly supplementing the soil at your home or commercial property, your trees and shrubs can live longer and look better. 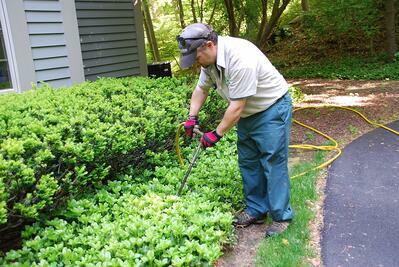 How are Shrub and Tree Fertilizing Services Performed? Joshua tree uses two primary methods for fertilizing trees and shrubs. 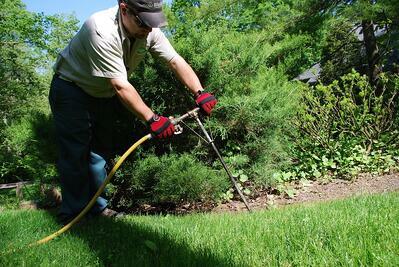 For the majority of trees and even some shrubs, we perform a liquid deep root fertilization. A specialized soil probe injects liquid tree fertilizer below the surface to give a thorough application under the plant’s canopy, reaching all the vital parts of its root system. In some cases, we also use granular tree and shrub fertilizer. This method is sometimes recommended for groundcover plants, mass plantings, or small ornamental plantings. Fertilizing trees can be either a standalone service or part of a comprehensive plant health care program. 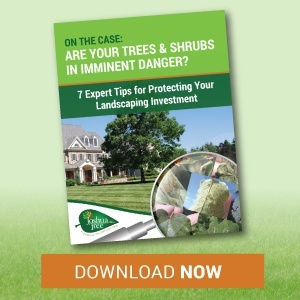 The cost of tree fertilizing services is determined based on a few factors including the size of trees and shrubs, their quantity, and your property’s layout. One of Joshua Tree’s Certified Arborists would be happy to meet you at your property, evaluate each plant, and come up with a plan for improved plant health. Feel free to request a free estimate for tree fertilizing services or call us at 610-365-2200.